On this episode, we’re talking burn buildings. Probably, the best simulated fires come from actual homes. If they’re abandoned or about to be demolished, setting them on fire is pretty realistic. But most times, they’re not available when you need them. And they’re not especially safe. So we use burn buildings, even though they have limitations. Here to discuss those limitations on this episode is David Rhodes. He’s got over three decades of fire service experience. 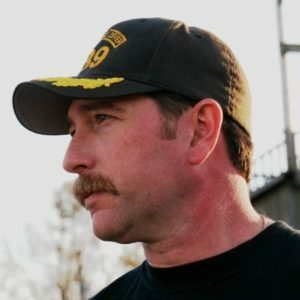 He is a chief elder for the Georgia Smoke Diver program, a member of the FDIC Executive Advisory Board, as well as a training coordinator for FDIC. And he is president of Rhodes Consultants, Inc., which provides public safety training, consulting, and promotional assessment. What was good about the 1666 Great fire of London that destroyed 80 percent of the city? The 1666 Great Fire of London was helpful because it also ended an outbreak of bubonic plague that had killed more than 65,000 people the previous year. The fire killed the rats and fleas that carried the plague-causing bacterium.